I had some left over Mashed Parsnip Sweet Potatoes from my past recipe and I came across a few Pumpkin cracker recipes on the net. 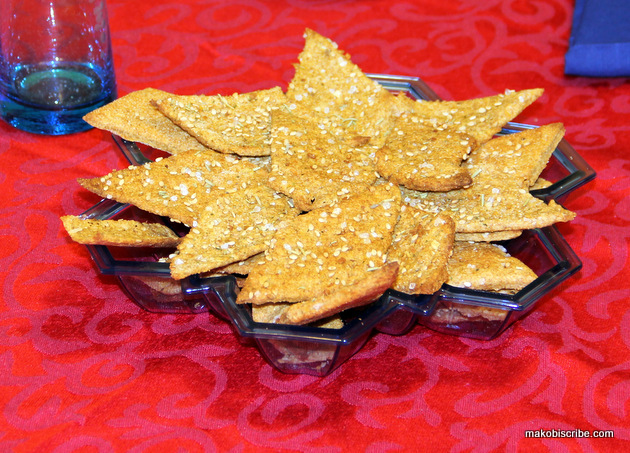 I adapted them of course and after a few trials, I bring you Sweet Potato Parsnip Crackers. You can used mashed, boiled sweet potatoes or canned pumpkin in place of the Mashed Parsnip Potatoes. I dust with cornmeal instead of flour because it falls off easier without adding the extra calories. Silly I know, but every calorie when you are on a diet counts. 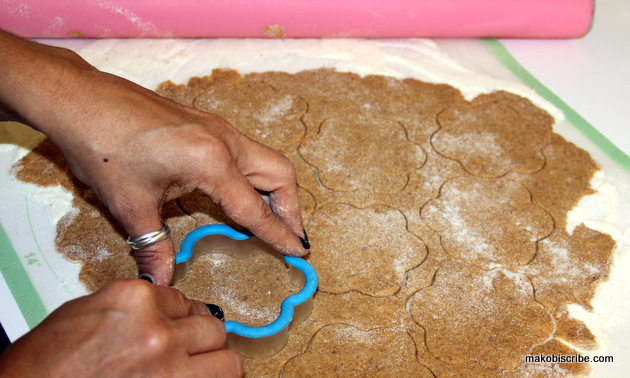 I use a silicone baking mat on my counter to keep the dough from sticking and for easy clean up. 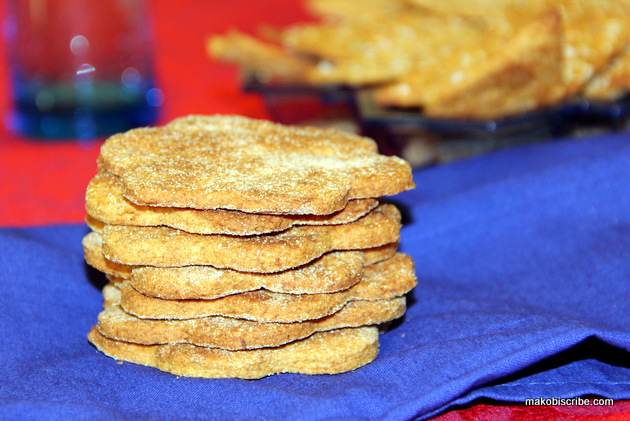 I seasoned the tops with either brown sugar and cinnamon for a sweeter cracker. Then for the savory crackers, I used sea salt and sesame seeds or rosemary and seasoned salt. They came out delish, and I had to send the bag of crackers of to my moms before I ate them all! In a food processor, add flour, baking powder, salt, honey spread. Pulse 20 times or until mealy. Add [Mashed Parsnip Sweet Potatoes](http://makobiscribe.com/parsnip-sweet-potatoes-recipe-is-a-perfect-thanksgiving-side-dish/) slowly into flour mixture until it forms a dough. Sprinkle with garnishes. I roll mine one more time to ensure the seeds stick to the crackers. Bake in a preheated 350 degree F. on an ungreased cookie sheet for 15 – 20 minutes (depending on the thickness) or until bottoms are slightly browned. Turn over and bake 3-4 minutes more. Let crackers cool before storing in an airtight container.